Available only at The Container Store, our White Elfa Décor Jewelry & Accessory Tray fits perfectly into a White Elfa Décor Drawer Frame to store and organize your jewelry. It's also designed to fit perfectly on a Elfa 16" Ventilated Shelf. Add Dividers to keep items organized and a removable Jewelry Box Lid to protect the contents from dust. White Elfa Décor Jewelry & Accessory System is rated 4.9 out of 5 by 74. Rated 5 out of 5 by Justneat1 from Great Storage Love the fact I can see my jewelry and is easier to find. Rated 5 out of 5 by chocolatemint from Easy to visualize I decided on the Elfa jewelry storage after years of keeping my jewelry in a hanging fabric-type storage on the closet rod. It won me over... much easier to visualize your entire collection and it does a better job holding earrings of different sizes and shapes. The only drawback I noticed was that I can't reach that very last row of earrings at the back of the drawer. I have to pop the drawer past the stopper to reach these. I have the decor shelf above the accessory tray; it looks like those without the decor shelf may not have this problem. However I've decided to keep my least-often used pairs back there, so no biggie. Rated 4 out of 5 by Nat2squared from Beautiful but pricy This is the newest addition to my Elfa closet and my all time favorite! You can see all your jewelry in one convenient place and accessorizing is a breeze now. No more bulky jewelry boxes where things get thrown in and hardly come out. I put off buying it since it came out to a little over 100 dollars per jewelry drawer with all the bits and pieces needed, and considering how inexpensive some jewelry boxes are this seemed quite steep. And who can just buy one?? This drawer makes a world of a difference though so if you're on the fence just get it, you won't regret it. Rated 5 out of 5 by LagunaBchMM from Love it The designers only ordered one lid for my installed closet jewelry drawers as it intended to slide from side to side. That being said, I dont want one side exposed to dust and dirt so I bought a second lid and they sit together. I just lift it off, depending on what side I want to see. They work just fine. 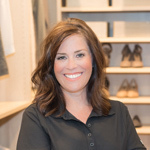 Rated 5 out of 5 by Tiffany3311 from All Closets Should Start with Elfa I have been remodeling all of the closets in our home with Elfa products and components. 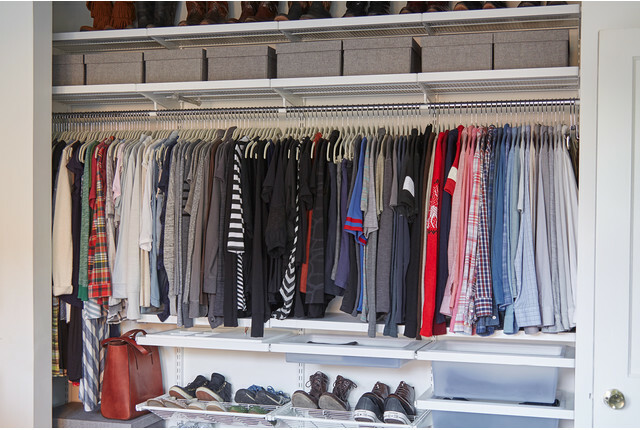 Each closet is custom tailored to our needs and easily adjusts to each shopping spree. Rated 5 out of 5 by Turfgirltwo from BEST IDEA EVER Just purchased our fourth jewelry and accessory organizer in walnut for our son's reach in closet. No more clutter on the desk, dresser, etc. as is it all behind the doors now. Yippee for Elfa. Yippee for Mom. Rated 5 out of 5 by AuntBunny from my second jewelry shelf - LOVE IT The Container Store (TCS) did both my Elfa closets - BUT there is always room for more --- so that's just what I did - added more - more baskets, sliding shelves and of course another jewelry box - a gal never has enough storage for her gems. All my new neighbors are envious of my closet system so of course I send them to TCS! Rated 5 out of 5 by carole4550 from Terrific System I use this system in my top bureau drawer and it organizes my jewelry beautifully! Before this system, I was using miscellaneous boxes and even a kitchen utensil container.... This system is not only attractive but I can easily locate earrings, bracelets and necklaces. I LOVE it! Rated 5 out of 5 by Jackaroe from I love Elfa I have tons of Efla and I wanted to give a review. But there's no where to put a review of system, so I chose my favorite piece. The jewelry holder is great. I didn't get one for so long because it seemed unnecessary and it's in the closet (?) and I already had all these things for hanging up jewelry. But the thing is I'm always to lazy to hang up the jewelry and it ends up in a heap on my dresser. With the jewelry holder you just drop it in any not-too-full square and you can find it next time. Yeah! Rated 5 out of 5 by theperfectionist from Best Elfa purchase! All of my closets are now Elfa. Everything is organized and there was space left over. This jewelry box is my favorite item. It is lined with a soft material that keeps jewelry from getting scratched, especially pearls. You have a choice of the small dividers for earrings, or larger ones for necklaces. You could also lay necklaces out in just one side of the tray without the dividers, and nothing would slide around due to the liner. We have a closet with sliding doors. One side is mine and one side is my husband's. We put in 4 of the ventilated drawers on each side. His "chest of drawers" is topped with the birch wooden shelf. MINE IS TOPPED OFF WITH THE JEWELRY BOX!! Everything is handy and organized. I can find things quickly and there is no need for a jewelry box on top of furniture or in a drawer. With the mirrored doors, clothing, and accessories all right there in the closet, I can quickly find the right accessory and see how it looks with the outfit. Jewelry boxes tend to have necklaces piled up in the bottom. Good luck on finding things. This is just the best and was a treat to myself for persevering with the renovation of all of our closets over time. I only gave it a 9 because each side needs to be all small dividers, all large dividers, or one big space. I would like to see a "combo" divider that is half small dividers in front and half larger dividers in back. Rated 5 out of 5 by miamimanager from Clean and organized I have all my earrings and brooches in my new elfa jewelry drawers. This has cleared off SO much space on my vanity. I can actually use the vanity for makeup and hair styling in the mornings without the clutter of my old jewelry box. Love all the space my new elfa jewelry drawers give me. Rated 5 out of 5 by bakerash1004 from Great Jewelry Organizing System I LOVE having all my jewelry spread out so that I can see it. 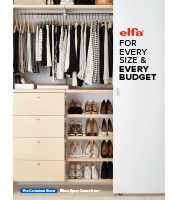 The elfa jewelry system is so wonderful and easy to incorporate into my closet design. 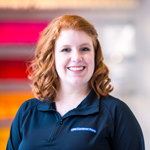 The staff was great and did an amazing job in designing the system for me and adding all the solutions that I needed. This was one of them. LOVE IT!!! Rated 5 out of 5 by cevgreen from Added this last minute, and am so glad I did! My new elfa closet is fantastic, and my favorite part is this great jewelry tray. I have tried so many different tools for keeping jewelry at bay, but this is the best by far. Neat, can see everything, tucks away... Just love it. Rated 5 out of 5 by Belladee from Great! I have all the inserts for the jewelry pull outs. I love them. I so like being able to see all of the earrings, bracelets and necklaces, at one time. No more forgetting what I own because it is all displayed for me. Rated 4 out of 5 by ChicagoProfessional from Back in Control I find these jewelry organizers incredible useful for gainign control over my jewelry collection. I keep mine in a dresser drawer. Rated 5 out of 5 by ContainHer from Great, as always Decided to update the rest of my closet and add the wood decor this year to my already existing closet system. As always with elfa, the decor draw added that special touch and now my jewelry is easy to find and displayed nicely. Rated 4 out of 5 by AnneC from I love it When I received an emailed picture of the birch jewelry & accessory system, I knew that I had to have it. My closet is a former small bedroom that was converted. We had great help from Beth at our local Container Store. When I purchased the jewelry system and got it home, I just opened a drawer, removed the mesh basket and put the jewelry system in it's place. It was that simple. I love my Elfa closet. Rated 5 out of 5 by Orangedaze from AWESOME I own 7 of these jewelry drawers, and yes I need more. I have a section of my closet dedicated to just my jewelry and it was a breeze to install. Everything fits like a glove and all the pieces are meant to enhance the overall look of the system. Yes a little costly, but oh so worth it. Rated 5 out of 5 by Cath19 from From clutter to heart flutters - best accessory The elfa decor jewelry & accessory system is an answer to organizing the clutter so many women encounter with storage and accessibility of jewelry items. Instead of needing to find wall space for an organizer, or surface space for a jewelry box or stand, you can make use of an often-underutilized space in the closet: between the upper and lower racks. The storage drawers are of high quality and have a refined yet functional look. It's a breeze to view all of your accessories in one place. Add this accessory system in as you revamp your closet - it's simple and makes an enormous difference. Thank you elfa and Container Store! Rated 5 out of 5 by KeithK from Fantastic for jewelry Fantastic solution for jewelry and other small accessories. Rated 5 out of 5 by hokievolfan from Great Idea in Jewelry Storage I purchased 4 of these double-sided jewelry storage systems for the new two-foot wide area we carved out in our existing closet (with the wonderful help of the in-store designer at the Container Store--at absolutely no charge). I mixed the inserts with the larger number of dividers and some with the smaller number of dividers and one with no dividers for larger items, such as long necklaces. These were easily installed following the instructions that came with them. The quality of the jewelry storage system is outstanding--smooth, well designed and built, and easy to use. I bought the wooden top for each side (although you could just get one and slide it from side to side) because I wanted all the jewelry covered. 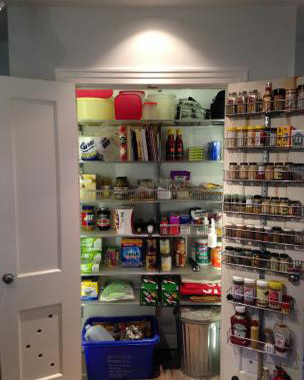 This is far better than a traditional jewelry box and better than any of the other jewelry storage options I examined. Along with these jewelry-storage shelves, we included two large hanging baskets and several fixed shelves all the way to the ceiling of the closet in the two-foot wide space, creating a tremendous amount of organized storage. Components are easy to move from one location to another. I cannot say enough about Elfa components. We have bought them for years and have driven several hundred miles to do so before the Container Store came to our city. I especially love these jewelry boxes. Rated 5 out of 5 by shadowshopper from really convenient When you have a jumble of jewelry, these jewelry divisions makes it easy to find and can be added to when you find other treasures. Rated 5 out of 5 by Tesla from Jewelry Organized We've had our elfa closet system for about 2 1/2 years, and recently I decided to add a few more pieces. This jewelry organizer was one of them. It helps me so much to have all of my small pieces in one place! Rated 5 out of 5 by CleanSeattle from Best part of my closet The jewelery system is the best part of the closet! I got both the small squares and the large one. The small side is perfect for rings/earrings, and the large side is great for necklaces and bracelets. I LOVE that it keeps my jewelry organized. Looks fantastic too. Rated 5 out of 5 by justavirgo from Jewelry Finally Organized I was excited to add this jewelry system to my Elfa closet, but had no idea how truly great it would be. I have a lot of jewelry that I love, but never seem to get to everything because it was always in a closed container, hiding away. Now, everything is visible and I wear more of my jewelry than ever. I love the open-viewing system and would recommend it to anyone in need of great organization and quick access to their favorite pieces. Rated 5 out of 5 by Slt7 from BEST invention ever! Having the entire elfa system in our closet has made the biggest difference in our organization however, being able to have my jewelry organized is the BEST! I find myself wearing jewelry that was always stuffed in the back of my old school jewelry boxes, where things were always lost or tangled...best purchase and couldn't be happier! Rated 5 out of 5 by Niinii from Sleek design I absolutely love this design by elfa. Now that I have a nice place to keep my jewelry so I don't have to have a box floating around is just great. It makes getting ready in the morning very easy. Rated 5 out of 5 by Prescott from Beautiful, yet Simple I totally would recommend this enhancement to your closet, as it is my wife's favorite piece. It stores most all of her jewelry in a nice and organized manner. What are the exterior dimensions for the two section insert (both interior and exterior). Also, is there a separator to use this for necklaces? The two section inserts are 9-3/4&quot; x 14-3/4&quot; (exterior). Each section in the divider is as followed; 8-Section: 4-3/4&quot; x 3-3/8&quot; 24-Section: 2-2/8&quot; sq. We do not have any dividers that will accommodate necklaces. Will these work with the freestanding drawer frames? Our elfa d&eacute;cor Jewelry &amp; Accessory System works in an elfa d&eacute;cor Gliding Drawer Frame or by itself on a shelf, but it will not work in a traditional elfa Drawer Frame. Included plastic clips - what are they? My accessory tray (the decor drawer frame) came with two plastic u-shaped, clear clips. They were in a separate little baggie so they appear to be a necessary part. What are these for? Thanks for your help! The clear u-shaped clips that came with your elfa decor Drawer Frame are for use when the frame is used for a drawer. In your case, they can be discarded or recycled. Can these jewelry drawers be locked? The White elfa d&eacute;cor Jewelry &amp; Accessory System does not have a locking mechanism at this time. Does the jewelry tray only fit into a certain size drawer frame? Are there any accommodations if I want to drop into a 20 5/8&quot; drawer frame? This jewelry tray is only designed to fit the White elfa d&eacute;cor Drawer Frame (seen below). What are the dimensions of the tray itself? The dimensions for the actual jewelry box are 20-5/8'' W x 16'' D x 1-1/2'' H.
Can this be cut to fit a smaller size box drawer? Altering our elfa d&eacute;cor Jewelry &amp; Accessory System is not recommended - it may compromise the structural integrity of the design. For a personalized elfa solution, contact us at 1-888-CONTAIN (266-8246).